HAL Recruitment 2018 2019 Application Form for 14 PRT- (English & Social Studies), PRT- Mathematics, PRT- Maths & EVS/Science, PRT- Computer Application, K.G Teacher (Ad hoc) Posts Download Application through Official website www.hal-india.com HAL Primary Teacher, Ayah Jobs Notification 2018 Released. 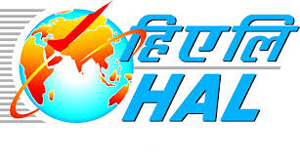 HAL invites Off-line applications for appointment in following Primary Teacher, Ayah post in Hindustan Aeronautics Limited. Candidates are requested to Download Application through Official website www.hal-india.com. The last date for submission of applications is 07.03.2018. HAL-14 Primary Teacher, Ayah Recruitment 2018 – Apply Online, HAL pattern of examination, HAL Syllabus, HAL Question Paper, HAL Admit Date Release Date, HAL Exam Date, HAL Result Date are given below. PRT- Maths & EVS/Science – B.Sc., B.Ed. from a recognised university. Subjects in B.Sc., should include a minimum of two of the subjects mentioned within brackets (Mathematics/Physics/Biology/Botany/Zoology/Chemistry/Environmental Science/Computer Science /Computer Application/Biochemistry/ Biotechnology) B.Ed in a Science subject. • Candidates should have an aggregate of 50% in B.Sc. and 50% in teaching subjects taken in B.Ed. Counselor (Ad hoc) – Rs. 21250/- per month. Ayah (Female) – Rs. 10000/- per month. Attender (Male) – Rs. 10000/- per month.